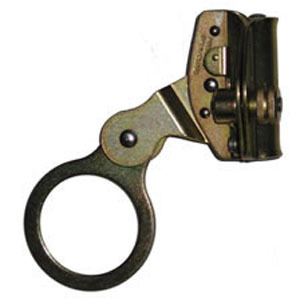 Rugged alloy steel rope grab features hinged construction for ease of attachment as well as a positive lock and safety cam for superior safety. •Threaded lock with positive secondary is secure and easy to operate. •2" eye for excellent connector compatibility and easy handling. •For use with 5/8" rope. •Unique gravity-operated safety cam prevents improper attachment.